1What does this mean for today's daily horoscope? It’s Libra season! The Sun is in Libra and the waxing crescent Moon is in Sagittarius today. What fun! Libra loves to listen and Sagittarius enjoys a good time. But wait… Virgo energy is in Mars, Mercury, and Venus while Neptune is in soulful Pisces, but this tension is released in the sign of Gemini. 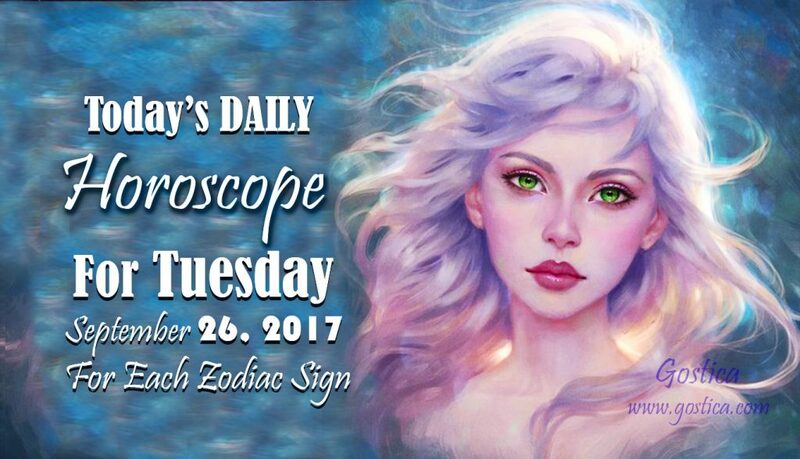 There are lots of good at this time in astrology for zodiac signs who are in careers where communication is needed to get things done. Or for people who are overseeing teams and there’s a situation that needs to be adjusted. What does this mean for today’s daily horoscope? You haven’t yet figured out a project that is coming out of hand, especially because many people want a piece of it, but with no intention to cooperate with you. You should first impose your basic idea and then eventually try to compromise to entice someone to work for or with you on certain aspects. Don’t be in a hurry to start some particular activities today, especially regarding your job, since you have already taken too many commitments and you should not add more, even if you think you can do it. Undoubtedly you would do it, but striving to get a little more and maybe pulling the rope of your health is not a brilliant move, especially because it is not proportionate. Multiply your commitment this day because it is what you are asked for and there’s nothing more than what you can do. Your attention will obviously have to be focused on the most important issue, but you are also in a position to handle more. Don’t limit your activities to a single one because that will only slow you down and this is not the time to be cautious. For now you have to accelerate and stay focused. Maybe you haven’t been pushing yourself enough to show off, but that is just how you are built and trying to do anything that is forced and not spontaneous would do more harm than good. If you feel unfulfilled and you know that you have this limit, you can start working on yourself, step by step, and radically change your way of being starting from today. You have chosen very improbable solutions that can’t silence your conscious. It is the moment to re-dimension yourselves and most importantly your egos. For sure your intelligence can lead you to amazing things, but you have to consider that there are some objective difficulties you can’t overcome, such as laziness and lack of attention. Sooner or later you might be able to choose something without repenting and going back. Fortunately all you will do in this day will be easily erasable, with no considerable consequences. You don’t have to question your goals, but only your methods. The main problem with your way of doing this is the lies you keep telling, believing they are for a greater good. Smaller solutions could stop things for a while but you will have to find a definitive one, if you really want to have a chance. You have to completely revolutionize your habits in order to hope for something. Sometimes the key to everything is just that, the habit, everyday life, which seems silly, but is actually at the core of certain incorrect ideas, hasty things, and unconvincing reactions.